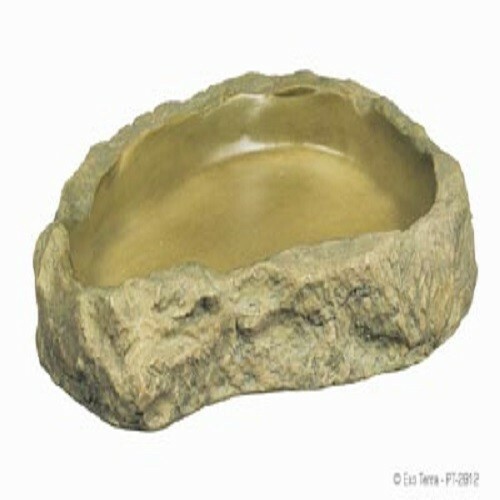 The Exo Terra's Reptile Feeding Dishes are made from food grade resin and have a very natural and realistic rock finish on the outside and a smooth non-pitted surface on the inside. 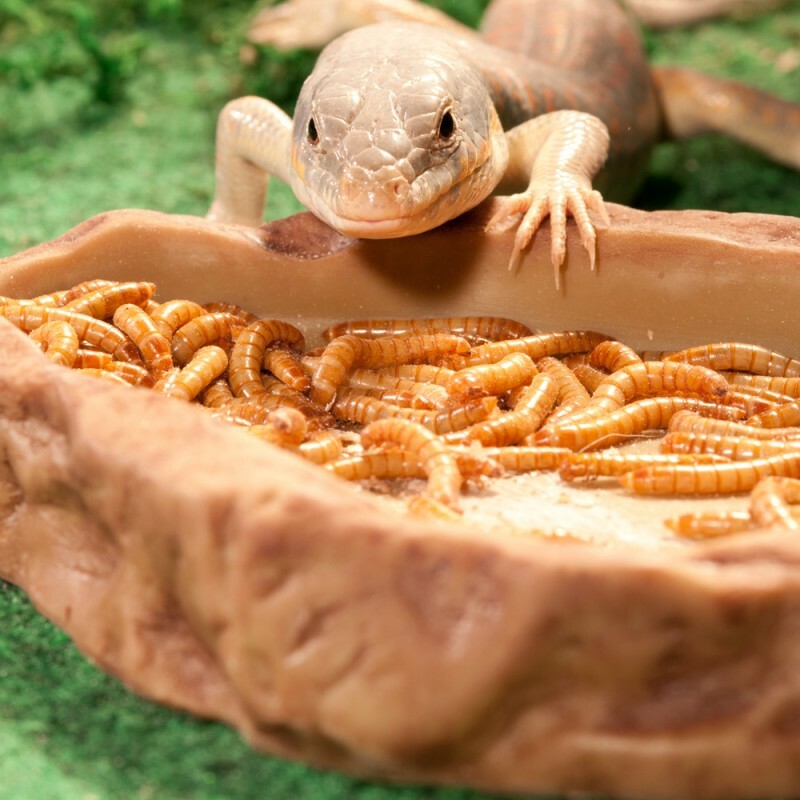 Exo Terra's Reptile Feeding Dishes are coated to prevent the development of harmful bacteria and to make it easier to clean. 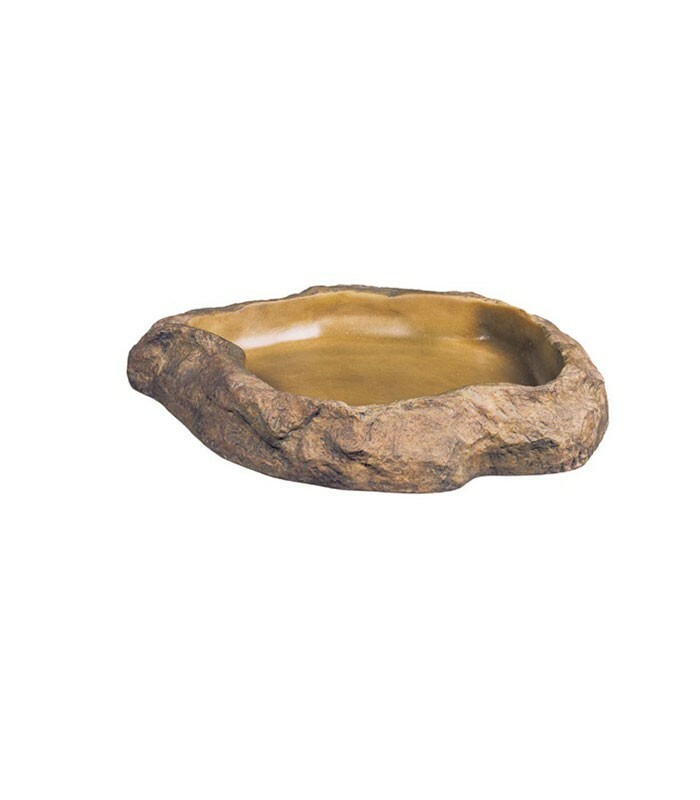 The neutral color of Exo Terra accessories allows for easy integration in desert, tropical or rainforest terrarium environments.